For many Americans, the thought of relaxing in the comfort of your backyard is very appealing. The yard can be seen as the outdoor meeting area of a luxury home. The backyard serves as the headquarters for your outside adventures. Here at Blain Homes, we couldn’t agree more! We have been your top home remodeling experts in Tulare for 45 years. Our experienced crew will work hard to deliver you the backyard of your dreams. Blain Homes also performs a number of home renovation services, including bedroom and bathroom remodeling. If it is a part of your property, we can improve it! The backyard is a major factor in home buying and can make the difference between selling big and settling. 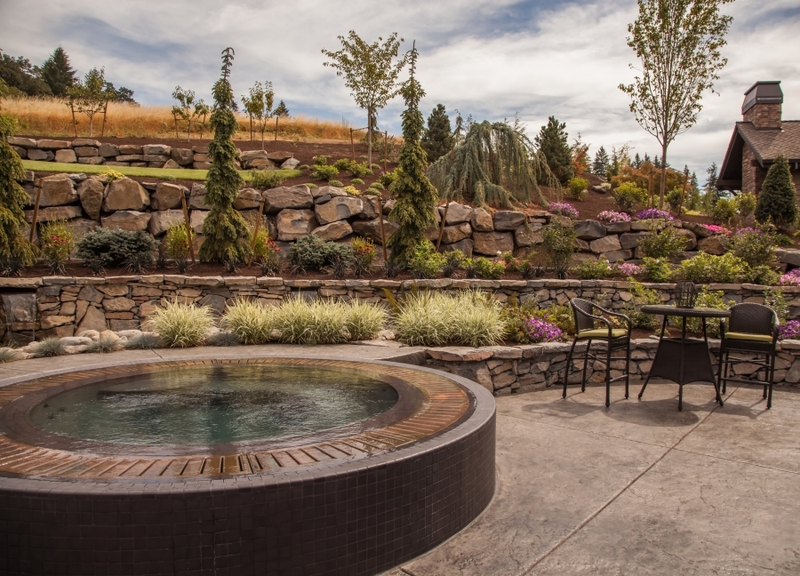 Today, we’ll look at a few key benefits associated with backyard remodeling. After all, Blain Homes’ employees are your Top Rated Local® Remodeling experts! Your backyard should be your own private oasis. As such, having elements that will improve your life will help the entire estate prosper. Looking to entertain guests in the summer? Blain Homes can fabricate a top-quality lounging area. What about feeding those guests? We can also implement a comfortable dining area that is sure to impress all customers at your personal dining establishment. Blain Homes can help to plan and design your outdoor space to maximize enjoyment while utilizing the available space in a very effective manner. Beyond the enjoyment of entertaining guests, your family can also benefit from exterior home remodeling. Ever considered fabricating a swimming pool for that beautiful California weather? Blain Homes can help! Our highly trained team will take care of everything involved in the outdoor swimming pool process to deliver you a source of aqua enjoyment. Outside firepit? Done! Enjoy the cool weather with smores around your new flame features. Have another idea for your outdoor home renovation? Let us know! We can implement nearly any idea to deliver the most enjoyable results possible. Enjoying your new personal paradise does not need to be limited to the daylight hours. We also specialize in lighting and, as such, can install top-quality lighting systems. The result? Better visibility in your yard. We can also install other features to reinforce your yard’s borders to keep out unwelcome guests and critters. Safety is a top priority, and Blain Homes can help to introduce the best measures out there to keep you and your family protected. Many people balk at the price tags often associated with home remodeling. Indeed, your dream yard can be very costly when all is said and done. However, the improvements made to your home can instantly up the value of your property. Often, the return on investment (ROI) in your home’s improvements is very beneficial. People who spend money on exterior remodeling can expect varying returns, anywhere from 20 to 80 percent! In the long run, the cost of your upgrades will be mitigated if you decide to sell you home. For those with ambitious plans, we recommend splitting the renovations into different phases. This way, you can update your place in stages based on time and financial levels. Home remodeling can also include the outside world. Employing professional home remodeling experts can improve your life both in terms of finances and enjoyment. If you’re considering home remodeling in the Tulare area, give us a call! Blain Homes is your source for the best quality remodel services. Contact us now for a free estimate! Should You Build A New House Or Remodel Your Current One?